Messaging applications are among the most popular internet applications and people use them worldwide on a daily basis. Their supporting infrastructure, though consisting of a multitude of servers, is typically under central control. This enables censorship and seamless user profiling. A fully decentralized infrastructure, with decentralized control and redundant data storage, can mitigate these dangers. 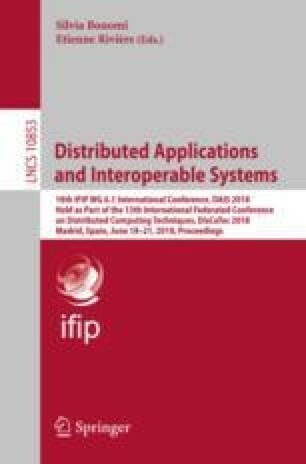 In this paper we evaluate the basic ability of decentralized networks created by the network overlay and data storage protocol Kademlia to serve as a short-term data cache for messaging applications. Our results show, that reliable retrieval of up to 20 replicas is possible. We thank the German Research Foundation (DFG) for their support within the project CYPHOC (WA 2828/1-1).